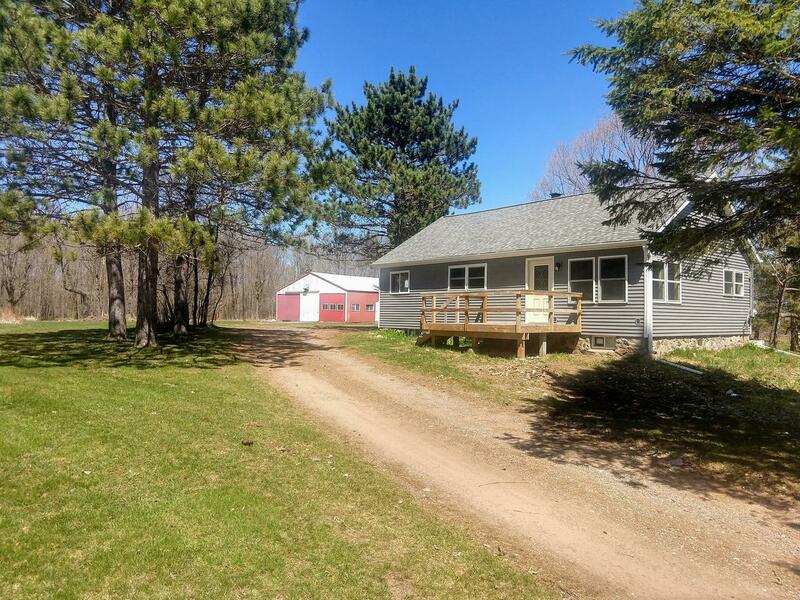 Super cute, completely remodeled, 3 bedroom 1 bath Northwoods country home on 5 acres just 6 miles out of Phillips. Inside you will find an open feel kitchen, dining room, and living room with tons of natural light! The spacious living room features a cozy wood burning fire place. Down the hall are 3 bedrooms and 1 full bath. Outside there is plenty of storage place with the 36x65 pole building. Recreation is right out your door with Big Dardis Lake, Musser Lake and the Chequamegon National Forest being all only 1 mile away. Call today to see all that this property has to offer!